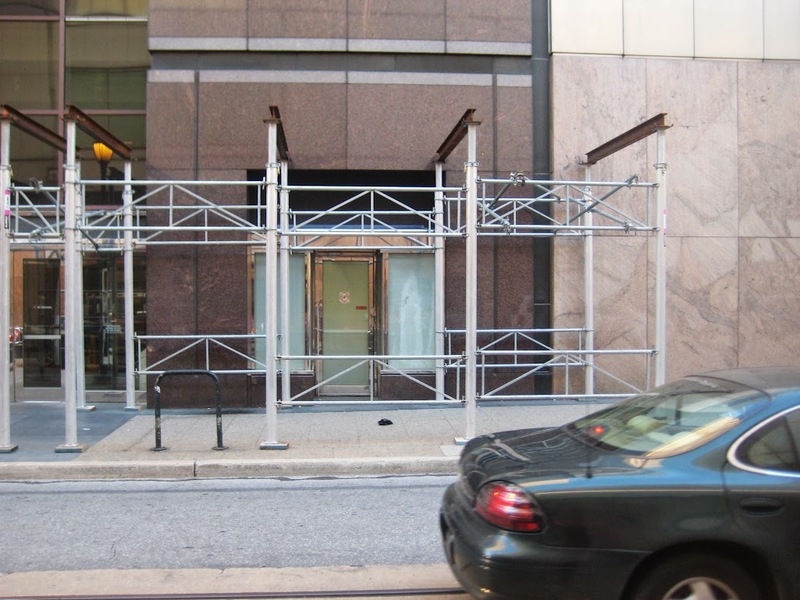 It’s not every day that you get to see just how we erect a sidewalk shed (canopy). We usually concentrate on the finished product and how well the client liked our work. But today is another story. 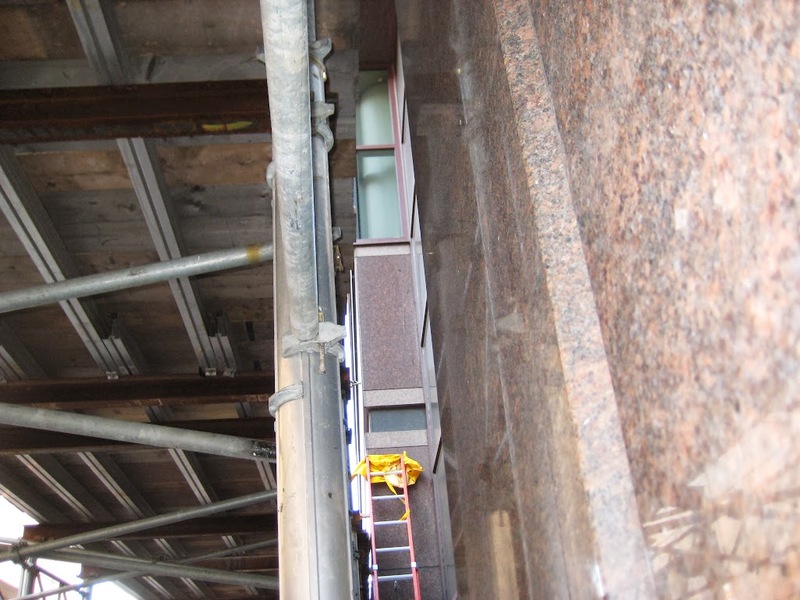 You get to see just what it looks like before, during and after we install overhead protection on a job site. 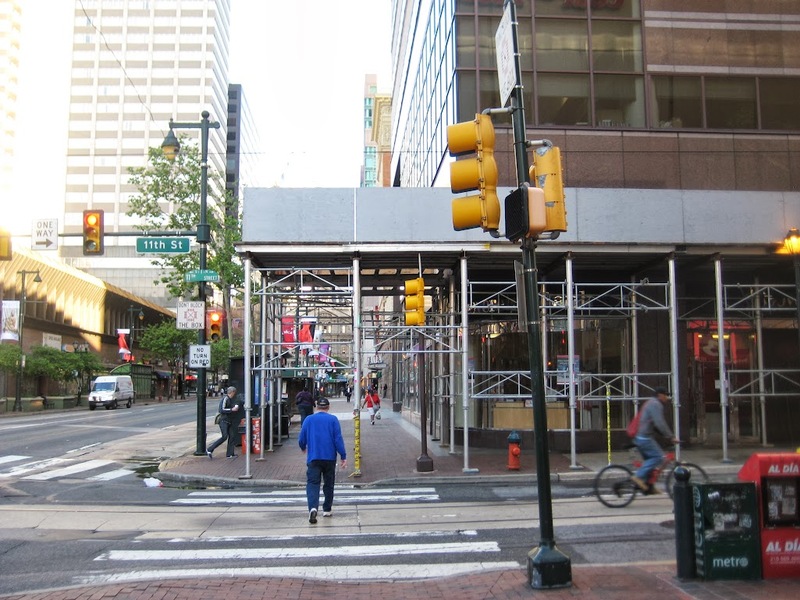 We are going to look at the work done in the middle of one of Center City’s busiest intersections at 11th and Market – the Aramark Tower. 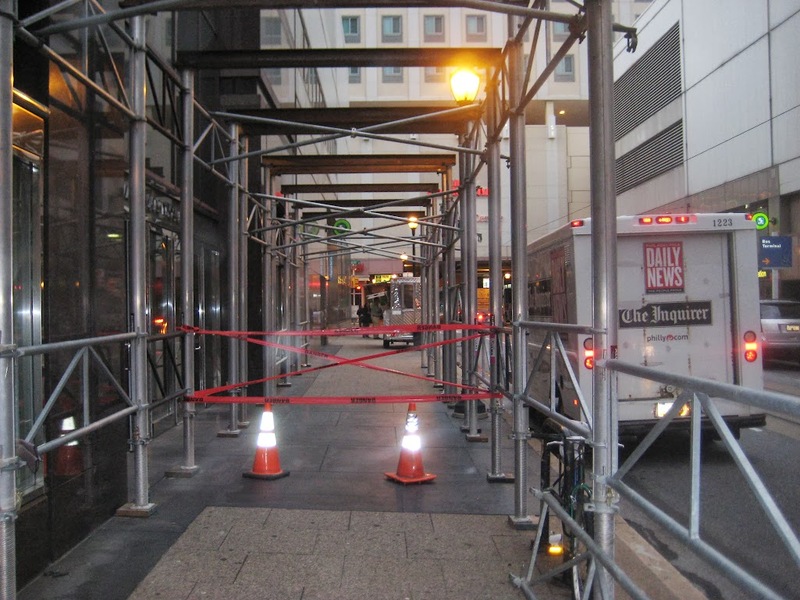 Crews usually start at night to avoid the massive traffic that will ensue during the daytime. In this first shot they have started building the base framework which consists of the 2 inner and outer main posts (or tubes), the bracing frame (s), the jack (s) and the intermediate plate (s). 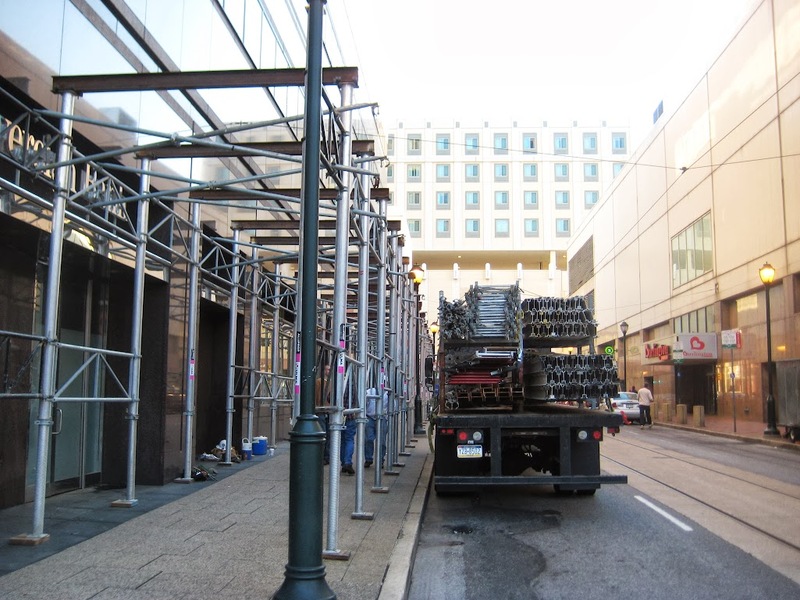 Here we see crews are just starting to put the steel beams on top of the aluminum posts. These will be placed all the way down the run and act as support for the aluminum joists to follow. Rolling towers are used to get crews up high enough to place the beams. 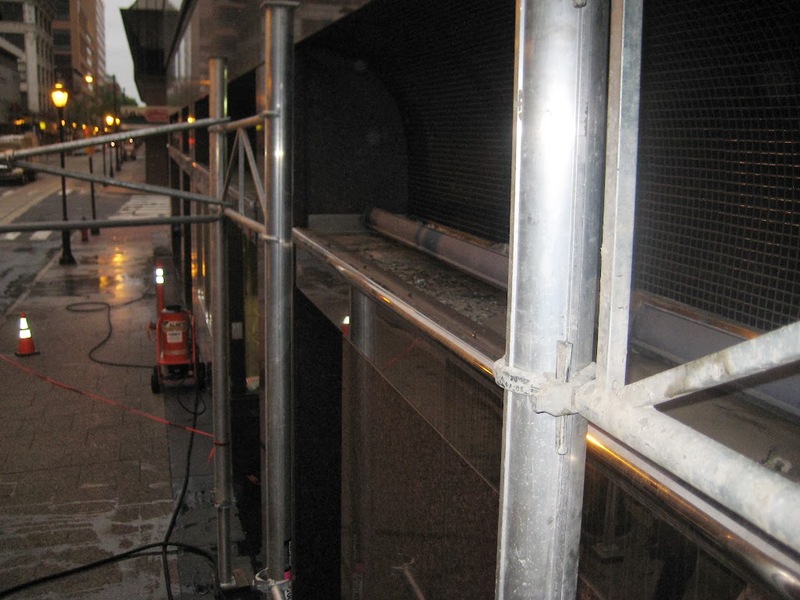 You can see here how the Superior Scaffold trucks deliver the equipment to the job. Again, in the evening or early in the morning to avoid traffic. 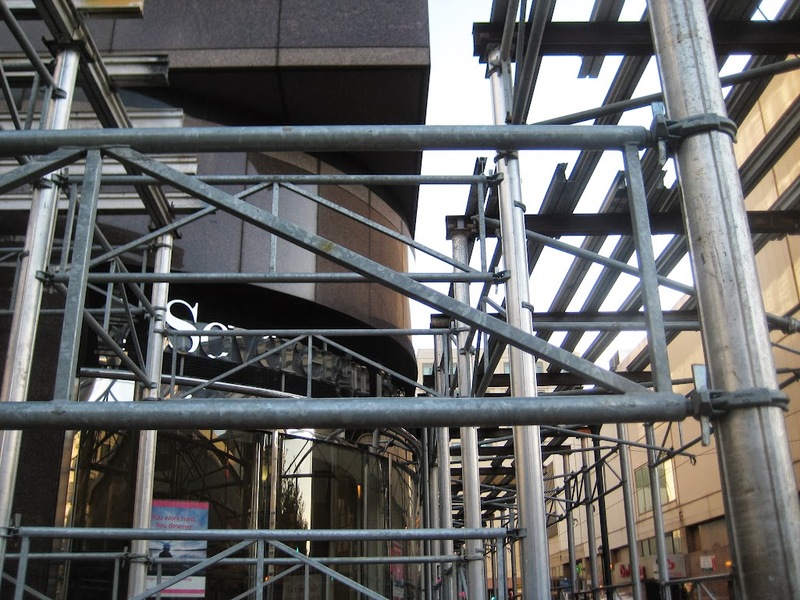 This shot shows the main framework as well as the steel beams that will support most of the weight overhead. 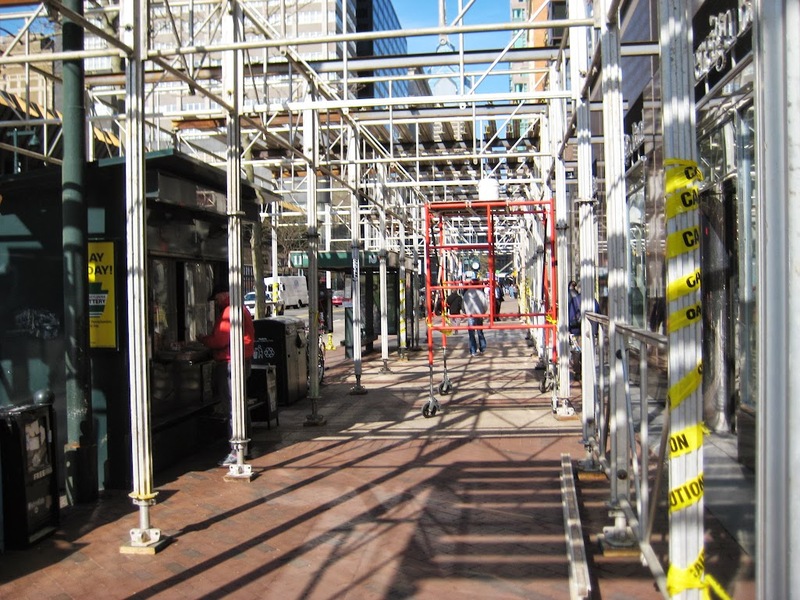 Crews have carefully designed the layout so that doors and staircases are still accessible to pedestrians. The aluminum joists are then laid over the steel beams for added support. These will handle the weight of the planks and/or corrugated steel panels that will lay over top. You can see how the pieces intertwine to create a super stable base for anything going up on top of it. You can see how the height of the rolling tower is adjustible to reach diffrerent eleveations. And then finally, in this case, the Microlam wood planks are added to the top of the sidewalk shed. 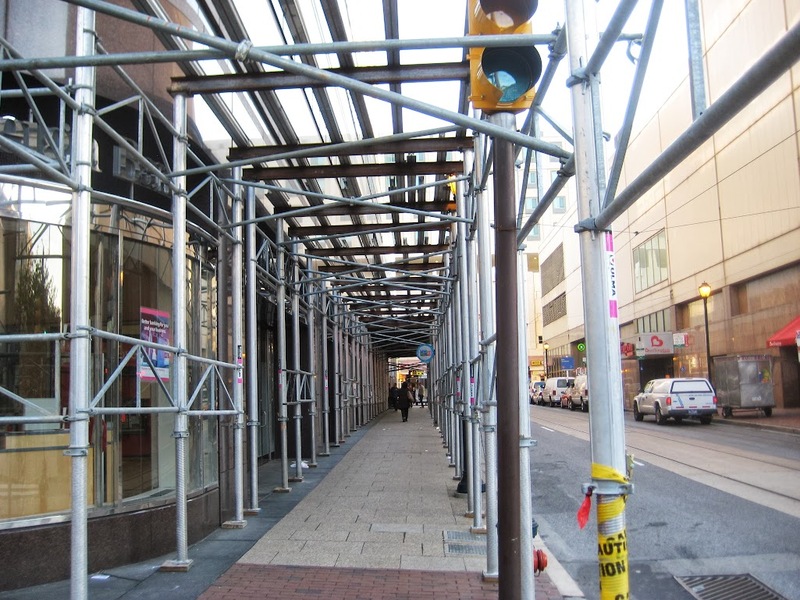 In downtown Philly, canopies have to have a 300 lb/sq foot rating so you can put suspended scaffolds on top or even additional scaffold, if needed. 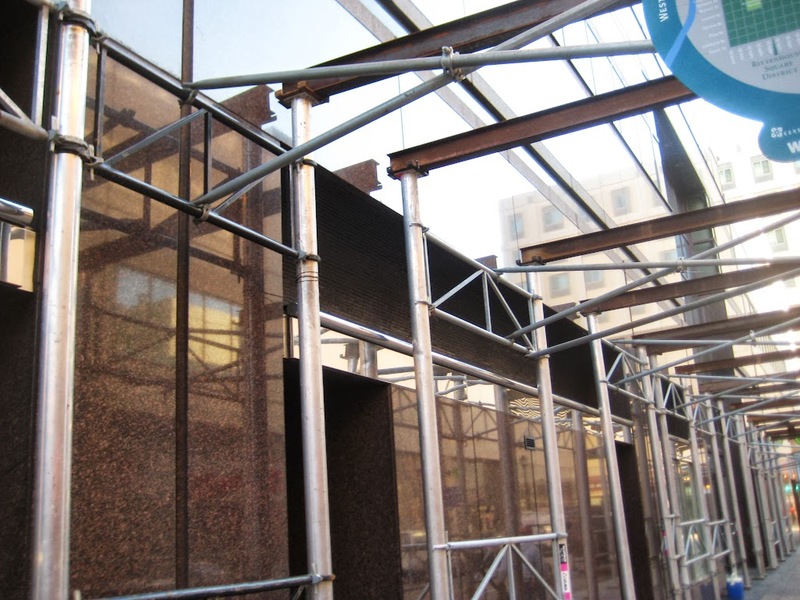 And the last part of this very long process is adding the 4X8′ debris panels that can be painted to match the client’s decor (which these will be) or left a beautiful Superior Scaffold red. 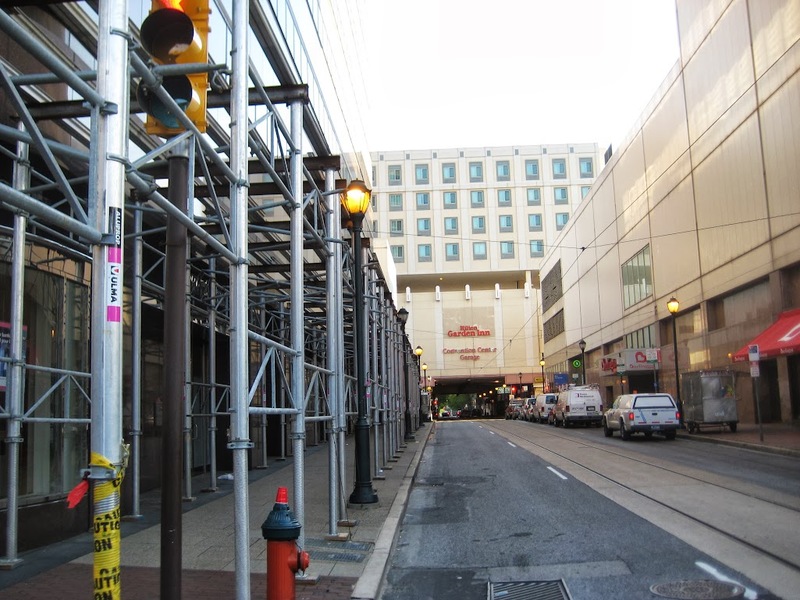 As a finishing touch, temporary lights will also be strung beneath to illuminate the walkway at night. 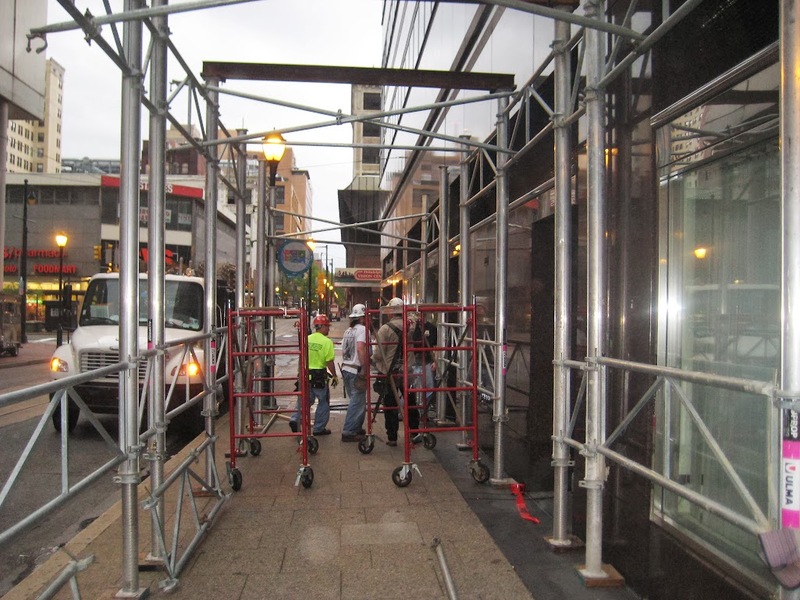 And in a very simplified form, that’s how a canopy, sidewalk shed, overhead protection is assembled. 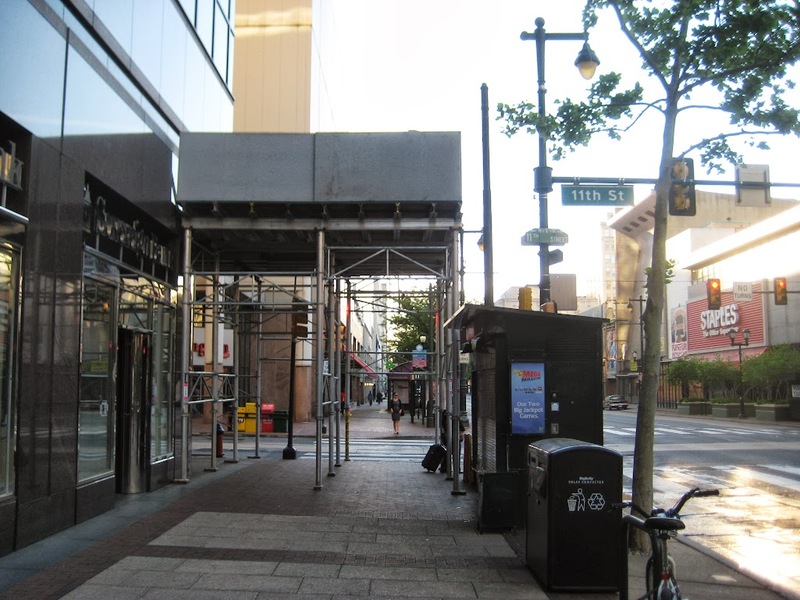 There are many different types of sidewalk bridges too – some made from scaffold frames, some from bridge columns and some from aluminum posts. 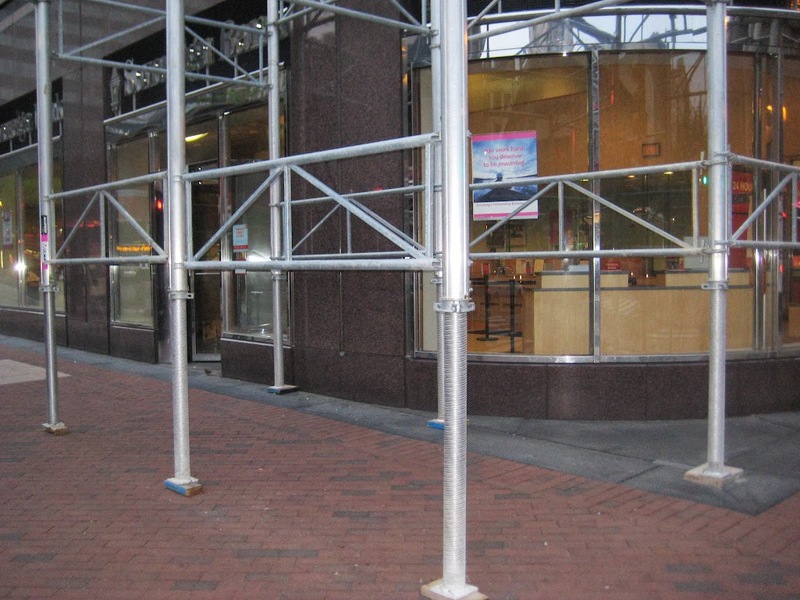 You can go here and see the different options we have available at Superior Scaffold. 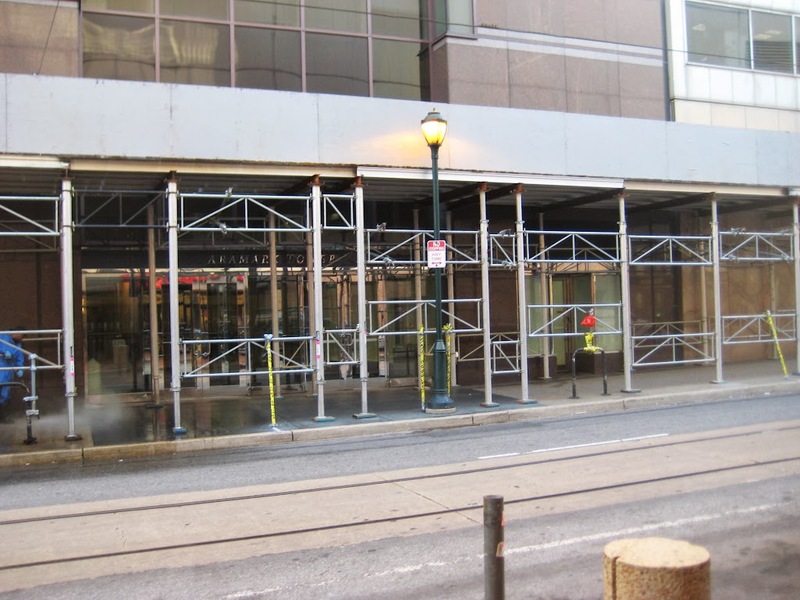 Call (215) 743-2200 today if you need one of these beauties for your project. 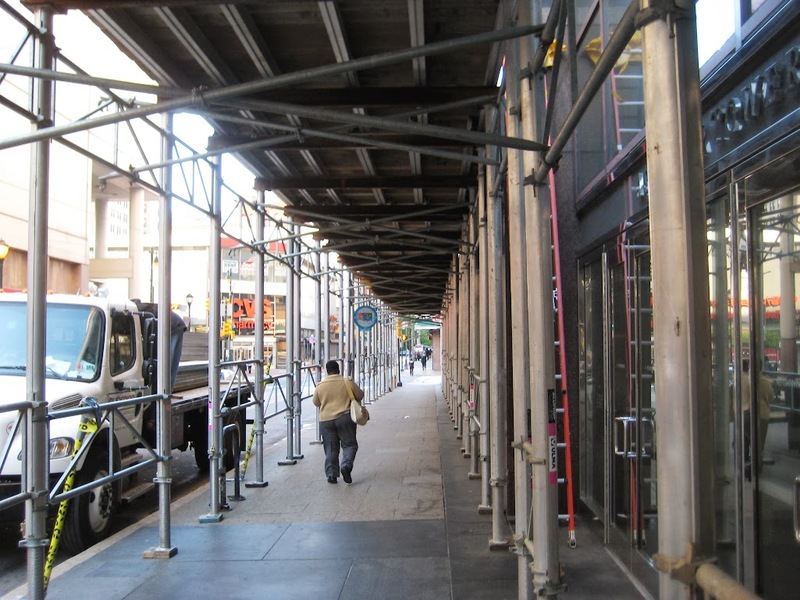 Posted on February 21, 2014, in Safety, System and tagged 215 743 2220, building materials, construction, DE, equipment rental, General contractor, inspection, ladders, leasing, MD, NJ, NY, phila, rent, Rental, renting, rents, scaffling, scaffold, scaffold PA, scaffolding, scaffolding philadelphia, scaffolding rentals, scafolding. Bookmark the permalink. Leave a comment.